So wrote Fr Alexander Lucie-Smith in the Catholic Herald, following the State Visit of President Xi Jinping of China, as though Christians oughtn’t to consort with reprobates and outcasts, and Jesus never broke bread with black sheep. It’s a sneery piece, replete with moral condemnation, in which the Queen and the Prince of Wales are judged to be complicit in “fawning”, “shameful”, “hypocritical”, “ironic”, “farcical” behaviour, all because China persecutes Christians, which, “(a)s the Catholic Herald has constantly stressed”, is “hideous“. Note how the derision is expressed toward the Queen as “the Supreme Governor of the Church of England”, as though it weren’t a church “in the proper sense“. And observe the scorn reserved for the Prince of Wales who “has long spoken about religious toleration” but doesn’t quite care enough about the plight of Christians in China. And then there’s that old “defender of faith” yarn, as though His Royal Highness hasn’t clarified and clarified again what he meant by that. The truth is that the Prince of Wales cares passionately about religious freedom and grieves deeply for the persecuted church throughout the Middle East. But it’s easier, it seems, to pour scorn upon diplomacy, despite possessing some knowledge of the limitations of constitutional monarchy: “Actually, members of the royal family are not to blame for this, for they have to do what the government tells them to do,” acknowledges Fr Lucie-Smith, before heaping hot coals: “..though I suppose, like us, they do have the right to refuse to do anything they think is sinful.” So, the Queen and Prince of Wales are judged either to be ignorant of their sin or wilfully complicit in the torture of Chinese Christians. Hence the “fawning”, “shameful”, “hypocritical”, “ironic”, “farcical” behaviour. Doesn’t Robert Mugabe persecute Christians? Is his maniacal genocide less “hideous” than that of President Xi Jinping? Mugabe is subject to an EU-wide travel ban for more than a few human rights abuses. 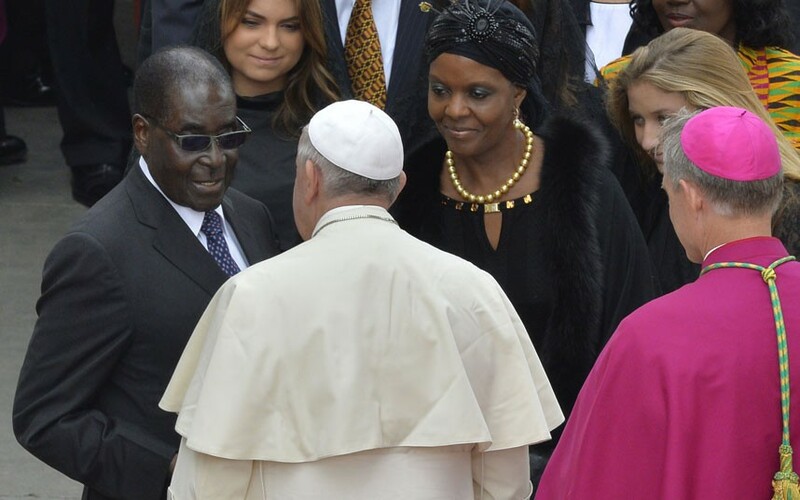 According to CNN, Fr Federico Lombardi of the Holy See’s press office “did not personally invite Mugabe”: he was present because “a diplomatic relationship exists between Zimbabwe and the Vatican”. What, like that which exists between China and the UK? If the Queen ought not to host President Xi Jinping because of his persecution of Christians, why does the Holy See serve Mugabe the sacred host after his complicity in murder, terrorism, oppression, starvation, genocide and a myriad of human rights abuses? While popes Benedict and Francis were “fawning” over Zimbabwe’s President, permitting him to elevate his personal prestige not only by attending Mass but giving him the Eucharist, at least the Supreme Governor of the Church of England saw fit to strip him of his honorary knighthood. 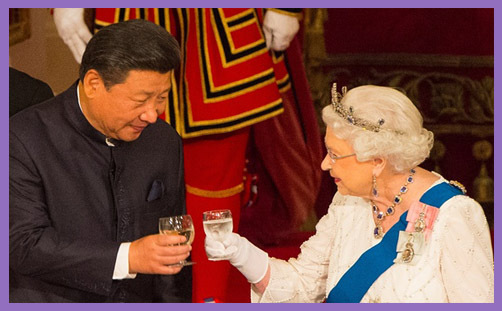 Perhaps, instead of sneering at the Church of England and its Supreme Governor, the Catholic Herald might look to the beam in its own eye, and then consider calmly, morally and dispassionately some of the obvious reasons why HM Government might consider a State Visit appropriate for the Chinese President, and what hope – however feint – it might offer those who are oppressed and persecuted. After all, not only did Our Lord meet and dine with sinners to call them to repentance, the Anglican Church is working and praying hard on the ground to aid, serve, mediate and mitigate. Within the language of diplomacy, certain things follow from maintaining relationship. So, yes, the Catholic Herald can sneer at the Church of England and its Supreme Governor if they wish. But they might recognise at least the “fawning”, “shameful”, “hypocritical”, “ironic”, “farcical” behaviour of their own church before they do so.